Share this product and receive a $7.87 sharing discount. Hand carved with a hammered look, this shield bears and ancient looking cross over the part of the breast plate that would cover ones heart. It is hand inscribed on the back with the words "No Weapon Forged Against Me Shall Prevail", taken from Isaiah 54:17. It is 1" tall and 5/8 in width. 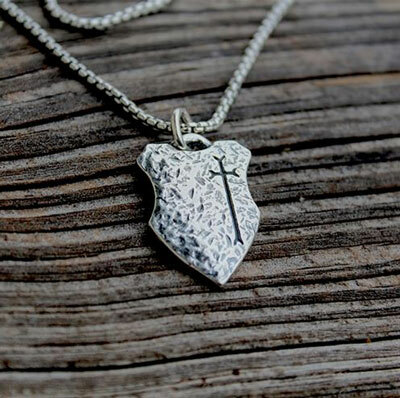 It is perfect for any man or boy to represent protection. 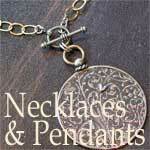 It comes on 20" 1.7mm venetian oxidized box chain. Perfect gift for a very special man in your life.